Woodland Park is a cozy mountain town located in Teller County. Often called “The City Above the Clouds,” the area boasts 300 days a year of sunshine and is surrounded by wilderness at the base of Pikes Peak. Homes in Woodland Park range from rustic cabins to majestic homes, with plenty of room to grow. This beautiful and rugged area is an excellent fit if you are looking quintessential Rocky Mountain living. There are many quaint shops and restaurants in Woodland Park, along with a couple larger markets and stores. 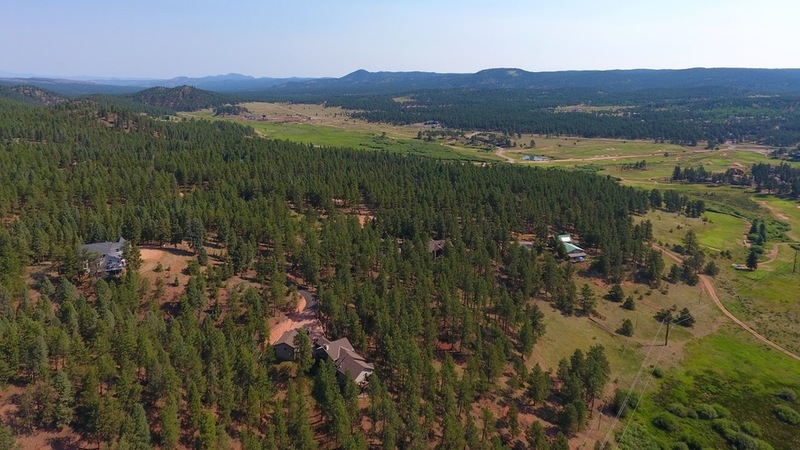 Closer to town, the roads in Woodland Park are paved, but as you travel farther out, there are dirt roads and steep driveways where a 4 WD vehicle is recommended. Fort Carson is most convenient to the Town of Woodland Park, depending on how remote you chose to live in the area and your comfort level with mountain pass driving on one of the rare, but icy blizzard days. Outdoor enthusiasts can enjoy exploring the abundant trails in Woodland Park, many of which have stunning views of Pikes Peak and the Rampart Range. While the area is vast in size, Woodland Park is an active and social community where families come together often so that the kids can play and parents can socialize. In the summer months, the town is bustling with festivals and outdoor concerts. There is also a weekly farmer’s market where you can purchase fresh, locally grown produce and other locally sourced items. The Town of Woodland Park sits at approximately 8,500 feet in elevation, with some areas of the region reaching nearly 10,000 feet. This Alpine climate has year-round average temperatures in the 50s – this takes into account the days where temperatures reach the low 80s in the summer months. The Town of Woodland Park sees 24 inches of rain and 112 inches of snowfall per year, with 247 days of sunshine. While the growing season is short (colder temperatures come earlier in the fall and stay well into the spring months), there are many garden enthusiasts who take advantage of the abundant sunshine in the Woodland Park region.